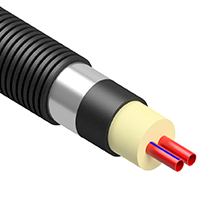 Suitable for a wide range of floor constructions for both domestic and commercial applications. 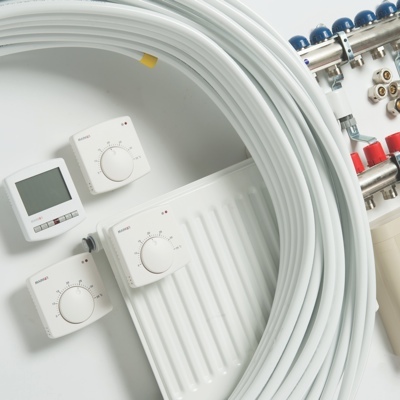 UFH can be easily combined with existing systems and is the perfect partner for renewable energy systems. Offering simple radiator isolation, with no joints in the building fabric. Sophisticated controls allow for improved comfort levels and increased energy efficiency. 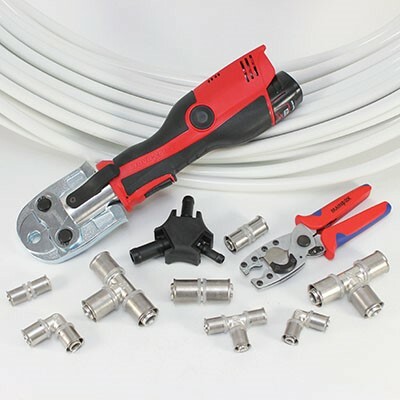 With simple individual isolation of appliances, a manifold plumbing system provides a safe, secure and easy plumbing solution, Maincor also offer a wide range of fittings for branch plumbing projects. 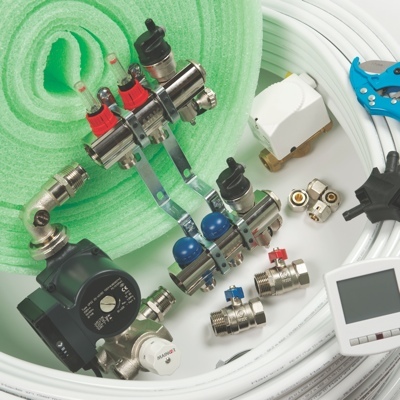 For efficient transfer of hot and cold water between buildings, pre-insulated pipe systems are ideal for transporting heated water from biomass and heat pump systems or for district heating projects.